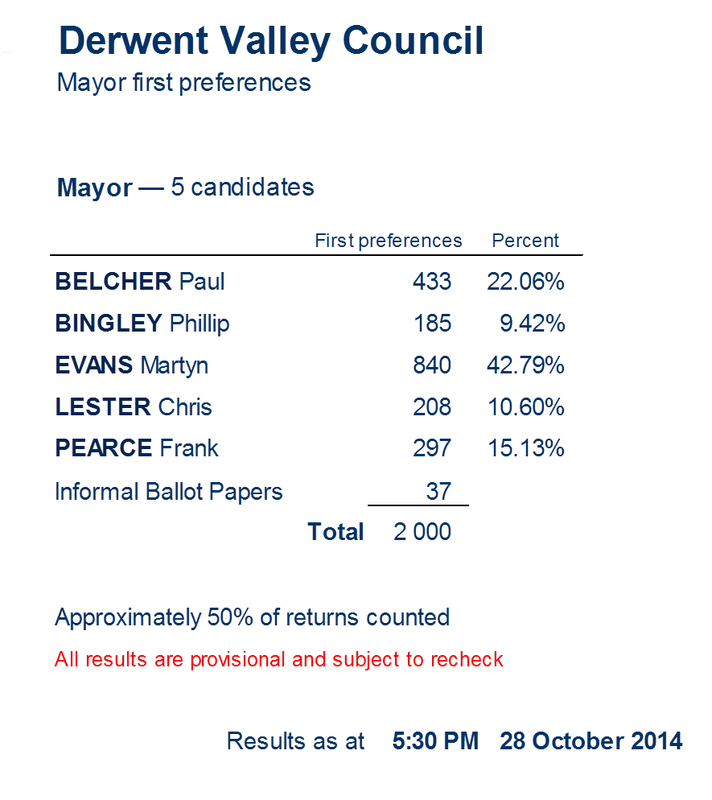 WITH about 50% of the votes for mayor and deputy mayor counted, Derwent Valley mayor Martyn Evans looks set to be returned to the top job, while newcomer Ben Shaw is the frontrunner for deputy mayor. The Tasmanian Electoral Commission does not expect to release any results in the councillor poll until about 8pm tonight. Mayor votes. Click image to enlarge. 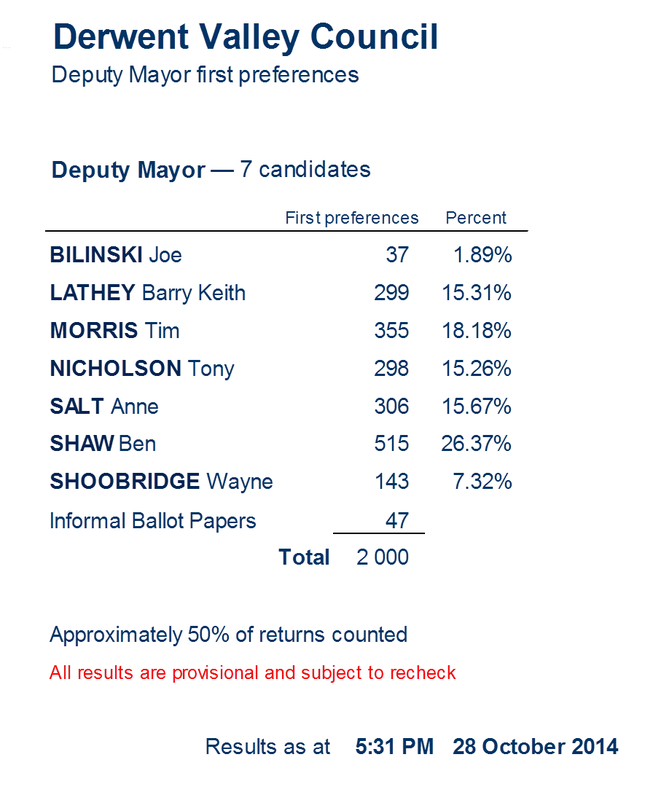 Deputy mayoral votes. Click image to enlarge.